Clean water is essential for human survival. Imagine having 90% of the water in your region unfit to drink! Unfortunately, that is the case in Gaza. The entire population of Gaza relies on a single underground aquifer. 95% of its water produced is contaminated by sea water, sewage and chemicals. By 2020, the United Nations predicts that all water in Gaza will be polluted and unfit for drinking, making the region unlivable. 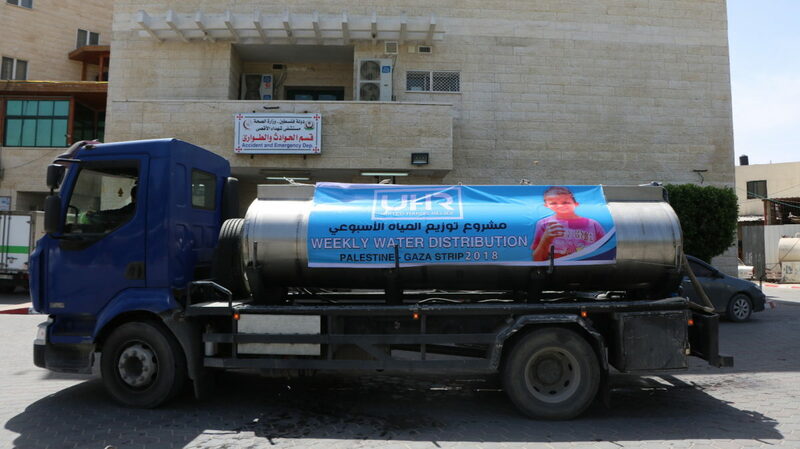 The water crisis in Gaza is escalating dangerously. The unsustainable water, sanitation and hygiene situation exacerbated by the longstanding blockade has been worsened by the 2014 conflict (OCHA). 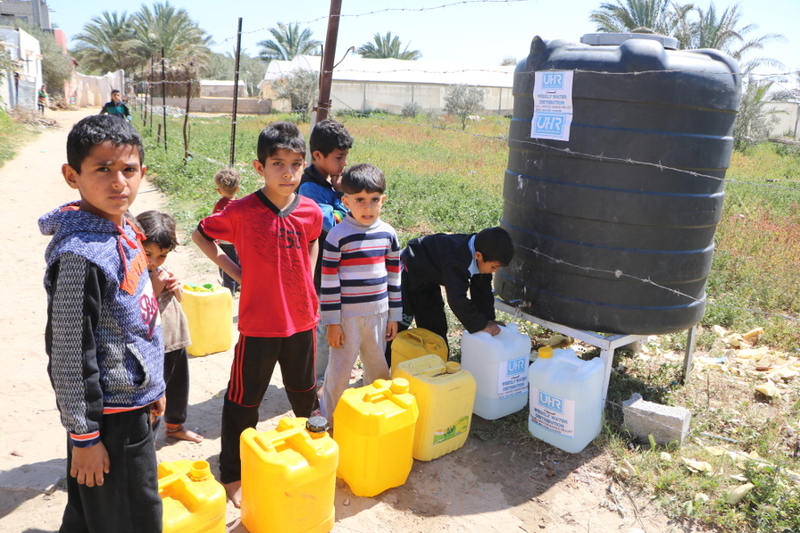 Even before the 2014 conflict, the water and sanitation sector was failing to provide for the needs of the 1.8 million people trapped in Gaza, isolated from the outside world. 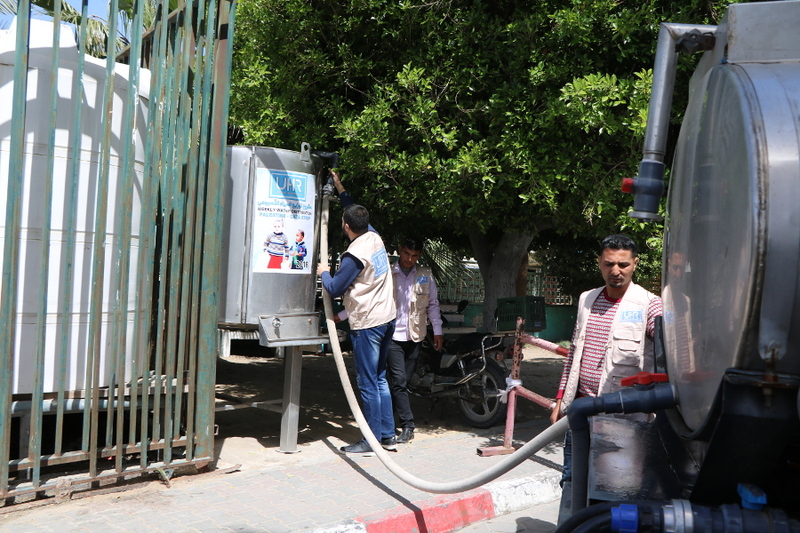 It is estimated that around 80% of the Palestinians in Gaza are forced to buy treated water from desalination plants that work to filter the contaminated aquifer water. Although, this water is treated, it isn’t always safe. It is also extremely expensive. According to UN reports, families are spending up to a third of their income on water, forcing them to sacrifice food, medical care and education. 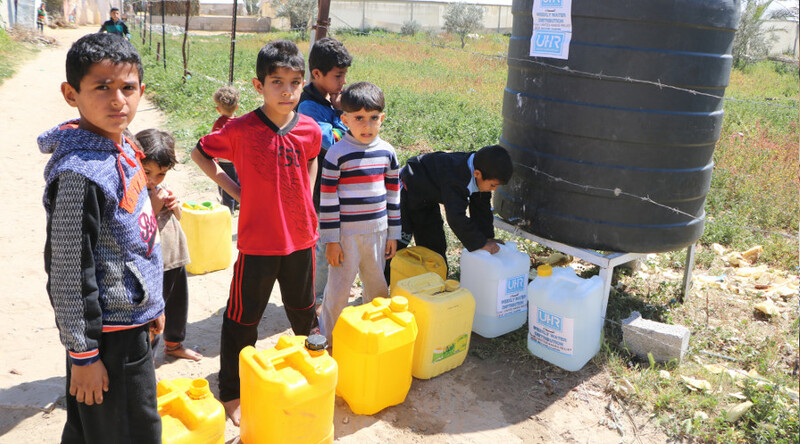 Palestinians in Gaza remember a time when almost everyone could drink clean water from the tap. Today, less than four percent of fresh water is drinkable, and the surrounding area is polluted by sewage. Water polluted by human waste can cause the spread of deadly diseases like cholera. Water containing high levels of chloride and nitrates can have serious consequences for pregnant women and young children. Without urgent funding, the crisis will spiral out of control the UN’s prediction that Gaza will be unlivable will be a reality. 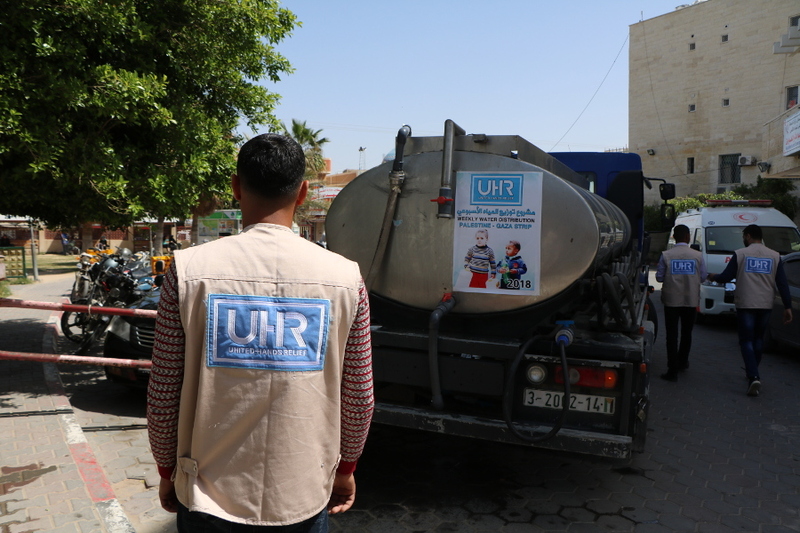 United Hands Relief, in collaboration with other organizations, has been providing humanitarian aid and running a weekly water distribution program that benefits many families that are in dire need of clean water. 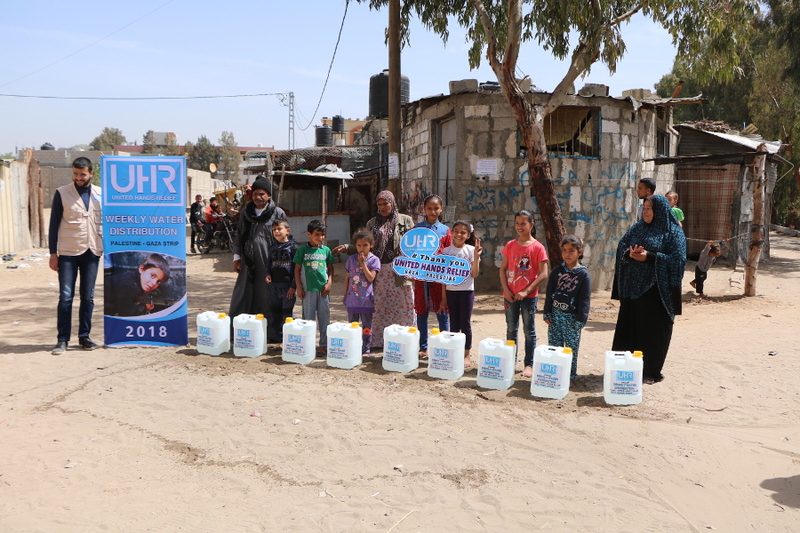 At United Hands Relief, our goal is to improve access to clean water, sanitation and improve hygiene practices and awareness among the underprivileged and displaced communities in the Gaza Strip. By 2019, there may be no clean water left in Gaza to drink. Time is critical! As days pass, civilians are forced to drink salty water. 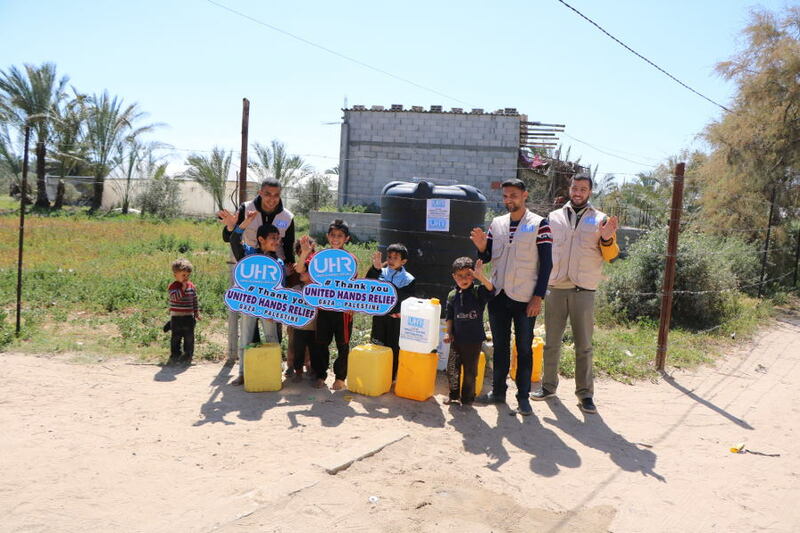 By giving generously to our Gaza Water Access Fund, you can help a family in Gaza access safe, clean water. Please give them the precious gift of clean water today.